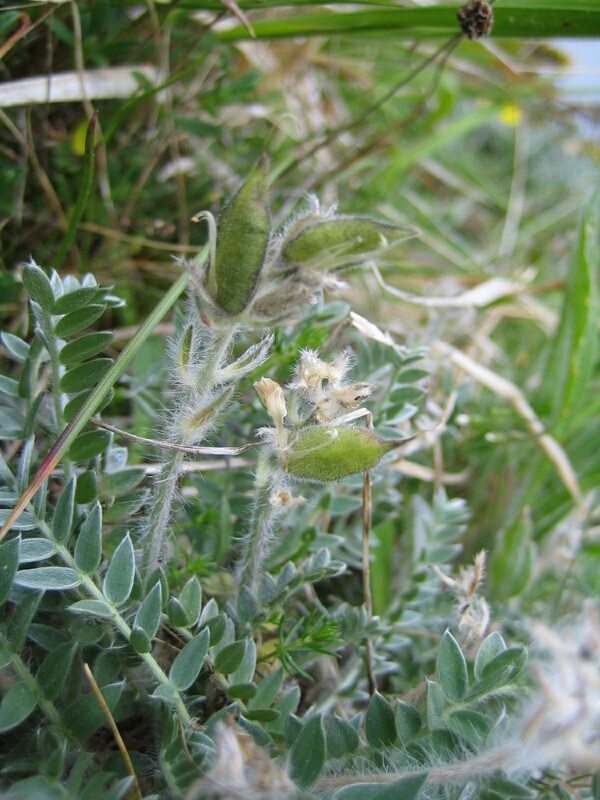 Oxytropis halleri commonly known as Mountain Milk-vetch is a Nationally Rare plant confined only to Scotland. The species can be found at two inland locations but most populations grow at few sites on the north and east coasts. It is a tufted, silky-hairy perennial herb with dense clusters of deep pink to purple pea-shaped flowers, followed by downy seed pods. The species is shade-intolerant and a poor competitor. 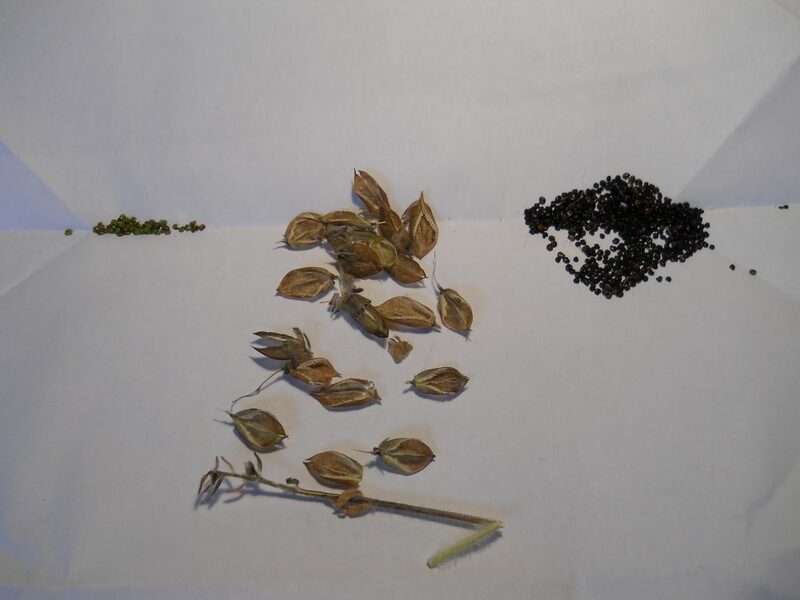 It is also vulnerable to selective grazing which reduces opportunities for plants to flower and set seed. 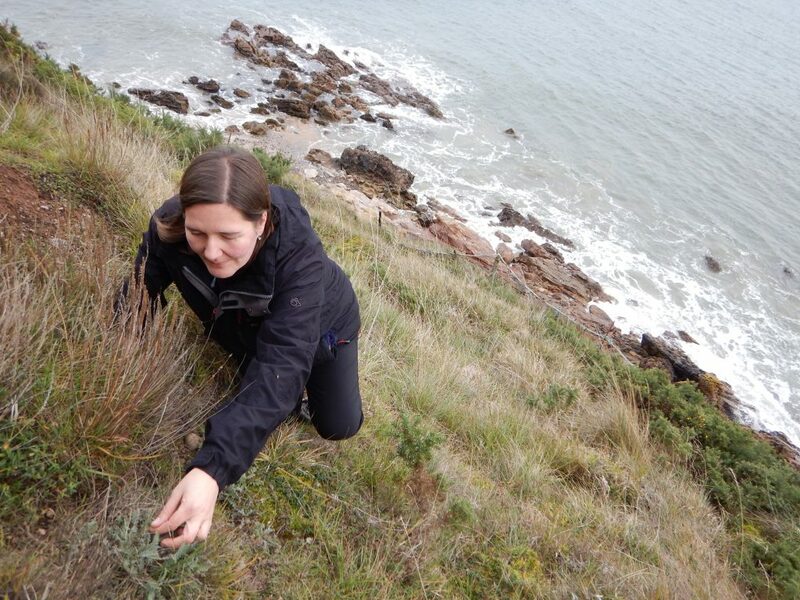 As scrub cover increases, several populations of O. halleri around the Mouth of the Cromarty Firth have suffered severe decline over the past decades with the extinction of the species at one site. 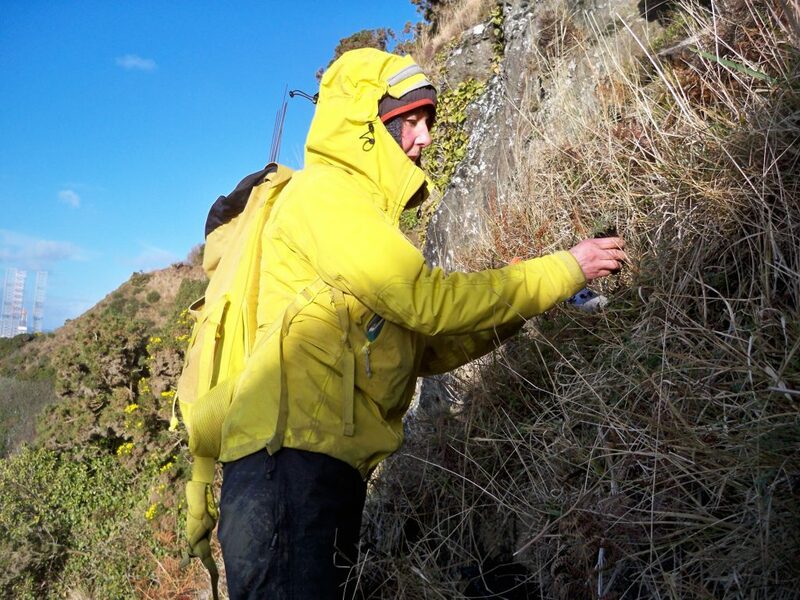 Alerted by the threatened status of O. halleri, at East Ross, a conservation project was implemented in 2016 to avert decline and to restore the species where it became extinct. 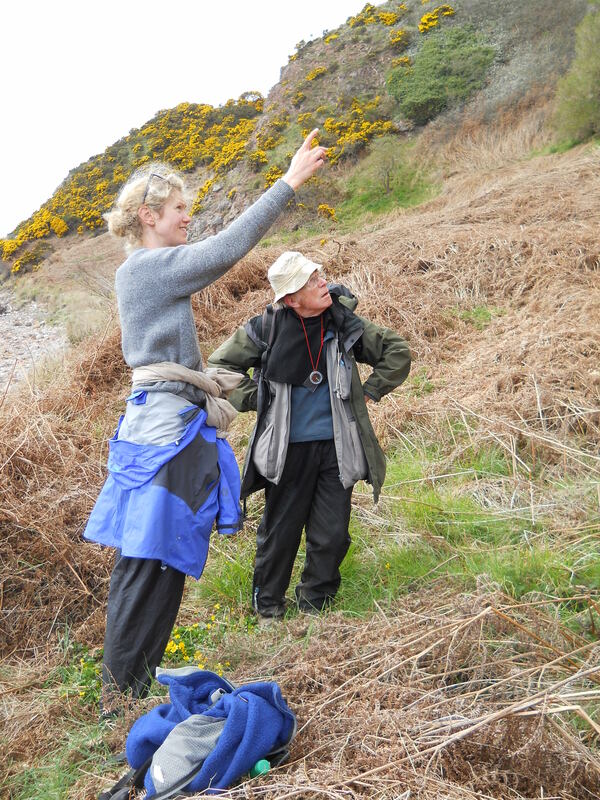 This project is a partnership between the Royal Botanic Garden Edinburgh (RBGE) and the Scottish Natural Heritage (SNH), with the collaboration of the Botanical Society of the British Isles (BSBI) and the landowners. The project started with field visits to assess the feasibility and extent of clearance required to mitigate current threats to the species and to discuss long-term recovery strategy. Once sites were identified as suitable for reintroduction, clearance started with the removal of gorse and self-seeded trees. 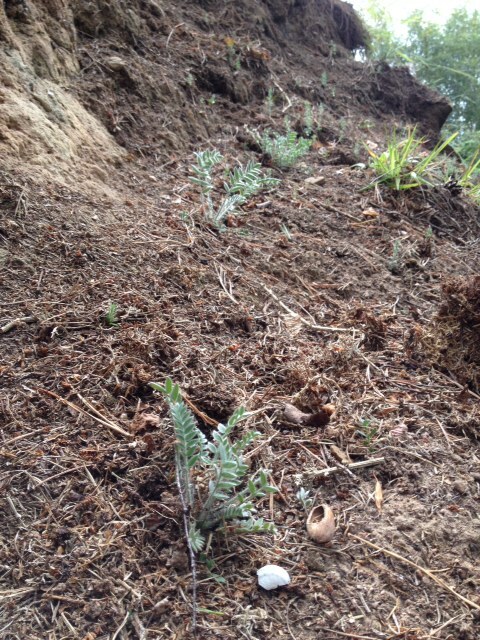 It is hoped that scrub reduction and soil disturbance after clearance will influence the regeneration of grassland quality and stimulate the germination of Oxytropis from the soil where buried seed can remain viable for as long as 50 years. Concurrently, plants were raised in cultivation at the RBGE from seed collected directly from a remaining wild population at East Ross. This is of great importance because when the location of the source material matches the climatic and environmental conditions to the reintroduction sites, it increases the success of reintroduction. 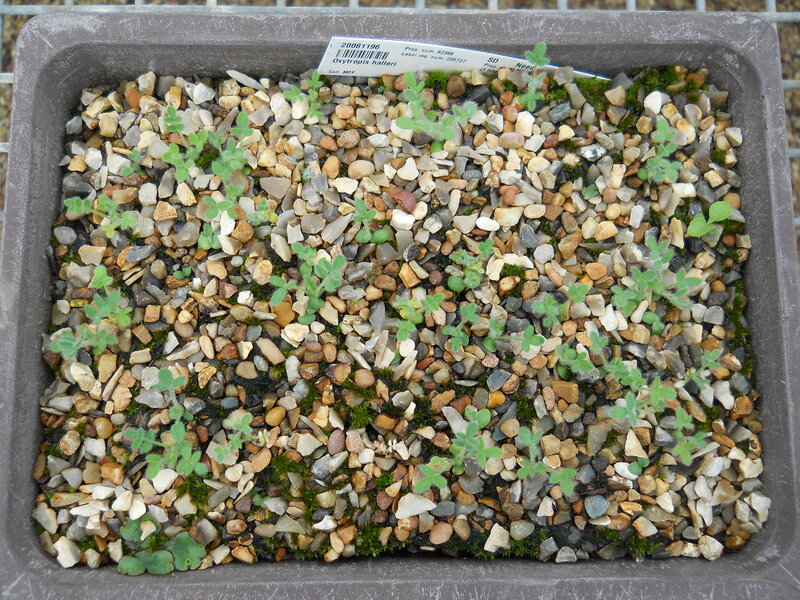 Soon after collection, seed were cleaned and sown on shallow trays. They germinated within a month. 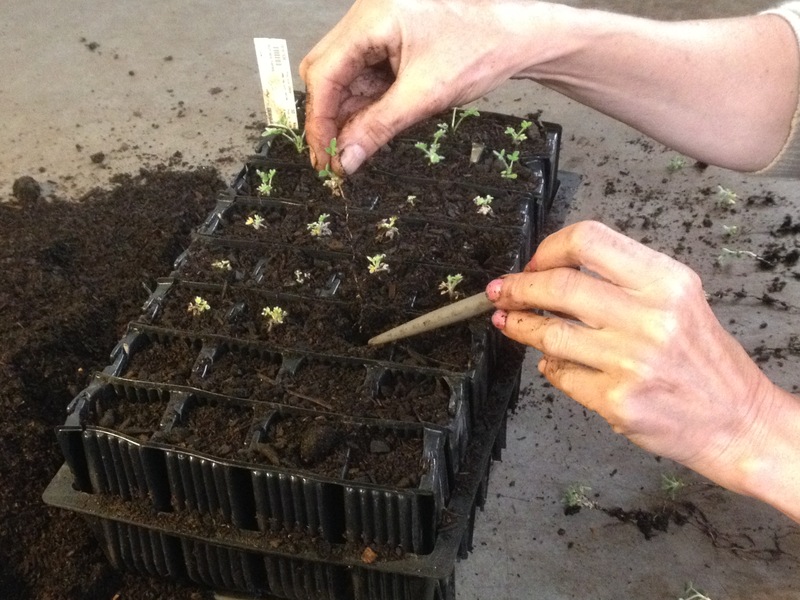 When the seedlings had two to four expanded leaves they were individually potted into multi-cell trays. 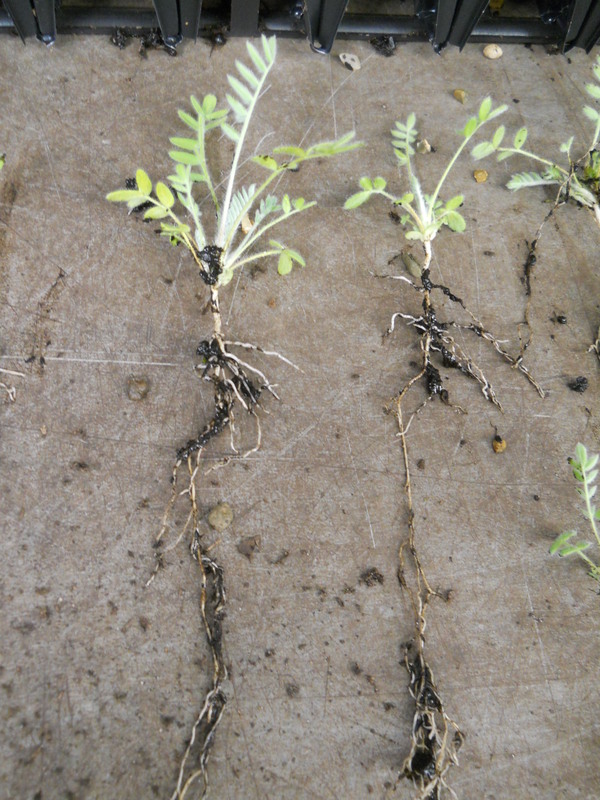 After a season the small plants were ready for translocation. 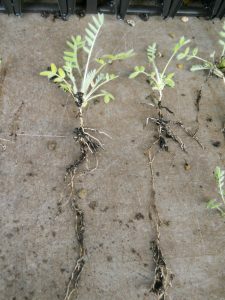 Their root system was strong and healthy enough to provide the best chance for the transplants to establish and to survive in their native coastal habitat. Planting was a real challenge. Both reintroduction sites are steep and require a degree of rock climbing. 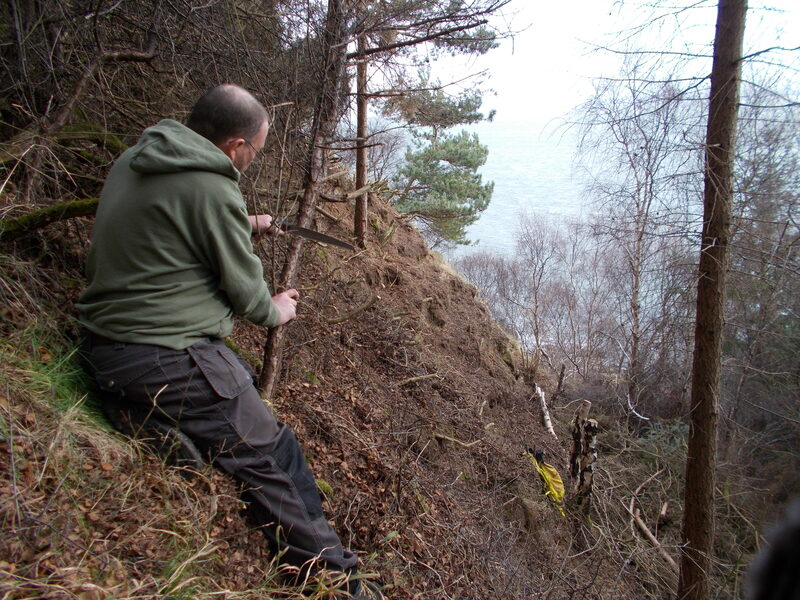 The tension built up when trying to minimise erosion while scrambling up on friable soil, and when standing as safe as possible on vertical slope and unstable ground while planting in what is mostly shallow bedrock. 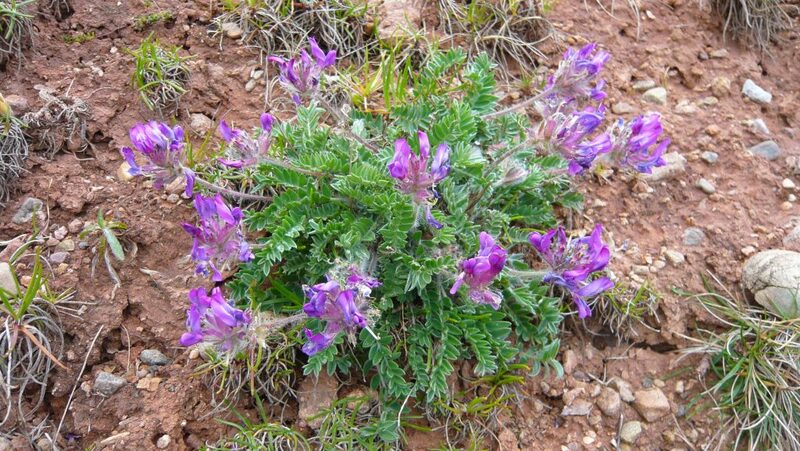 Nonetheless, over 150 Oxytropis propagules were translocated at each site. It is hoped that such large founding populations will increase the probability of their survival. 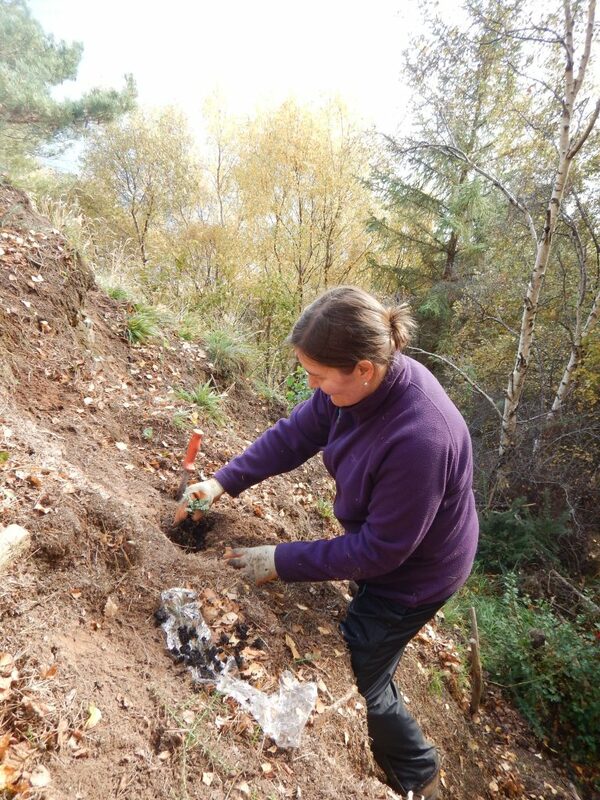 It was rewarding to see that some had established successfully six months after planting. However, it will take at least a decade of monitoring plant survival and growth to evaluate the success of the reintroduction.